The Tuininga Family Adventures: Church Lunch! 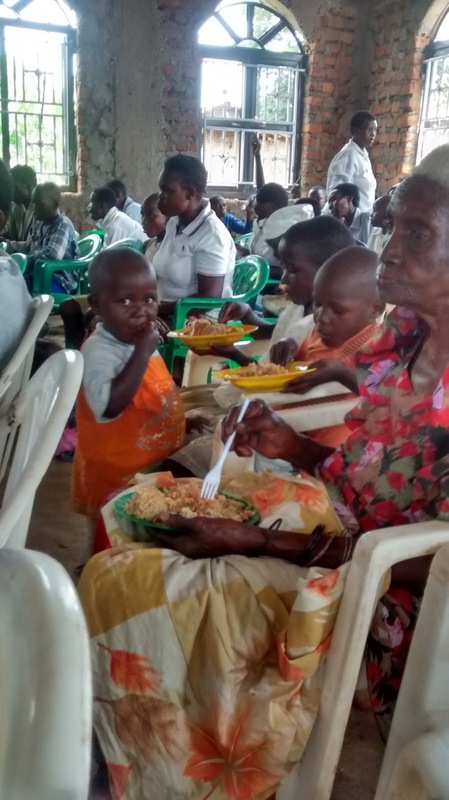 When our church began meeting on our compound a couple years ago, we thought it would be a blessing to introduce the idea of fellowship lunch. So for two years, every communion Sunday, the church would encourage the members to bring food from home so that we can eat together. It was a growing experience. 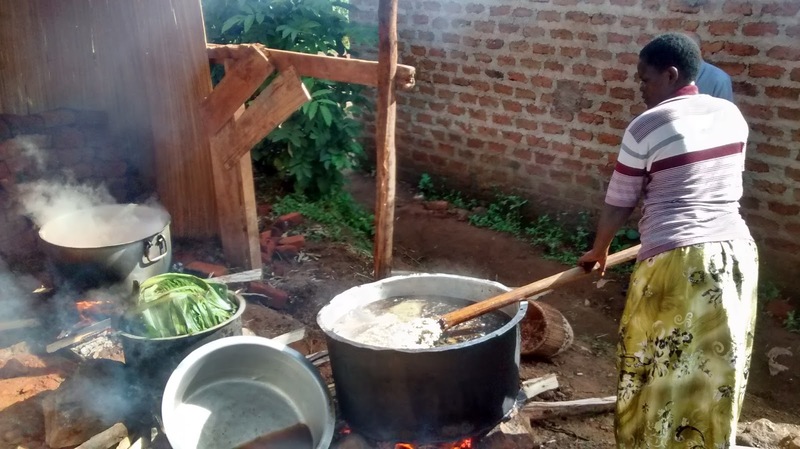 The idea of everyone bringing something and coming together to eat is a foreign concept. The culture is that one person (usually the person with the money) provides food for every one else. 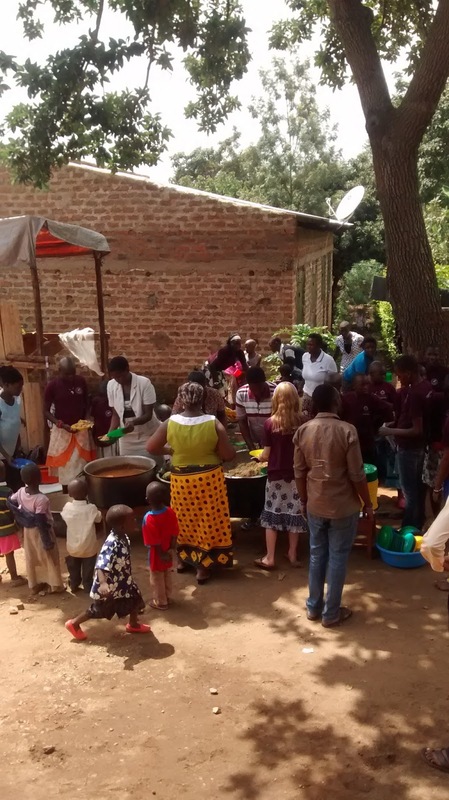 Culturally, they expected the church or us personally (since church was on our compound) to provide for them. But over the years, the members started to understand. I still did a lot of the meal, but the other members did a great job of beginning to join in. And amazingly, we always had just enough...not a huge feast...but enough. When we moved to our new building, the church decided it would be great to try our meals a different way. 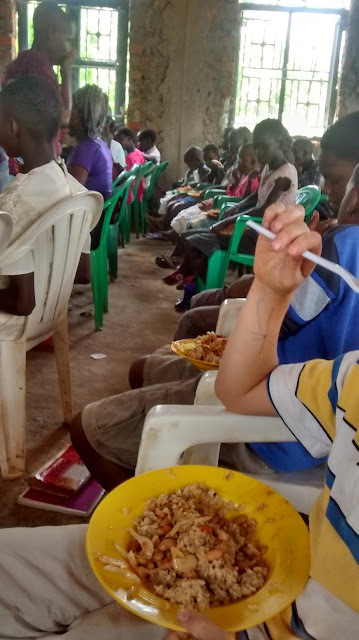 They calculated that to feed 200 people, they would need about 150,000/= ($45) from the people to buy rice and beans. In addition the church could add to that about 100,000/= ($33) to by the smaller items. So two Sundays ago, they took a special offering to see if people would donate the 150,000/= for lunch. The people of the church gave 240,000/=!! So this past Sunday, we had our first lunch at church. 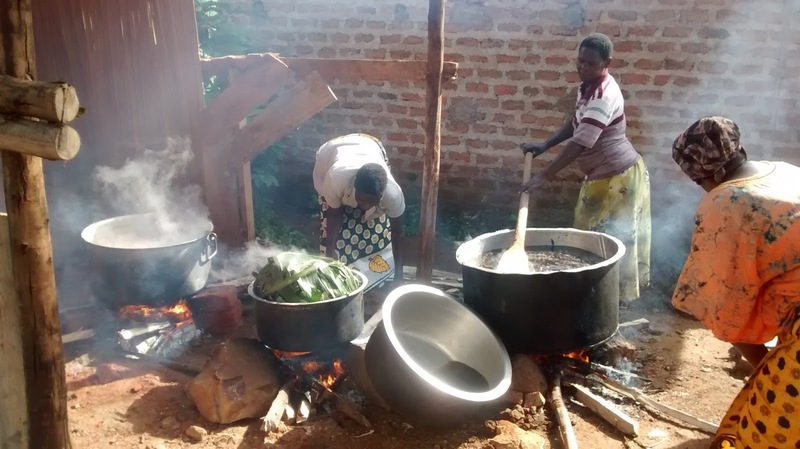 The ladies spent Friday afternoon gathering firewood and supplies, Saturday afternoon sorting the beans and rice, and then arrived at church at 6am on Sunday to start cooking! We really truly feasted AND ended up serving about 300 people because of our record attendance!! (yes...just over $100 fed 300 people very well!) How awesome is that?! Check out these cooking pots! Full hearts, full bellies... God's blessings abound! 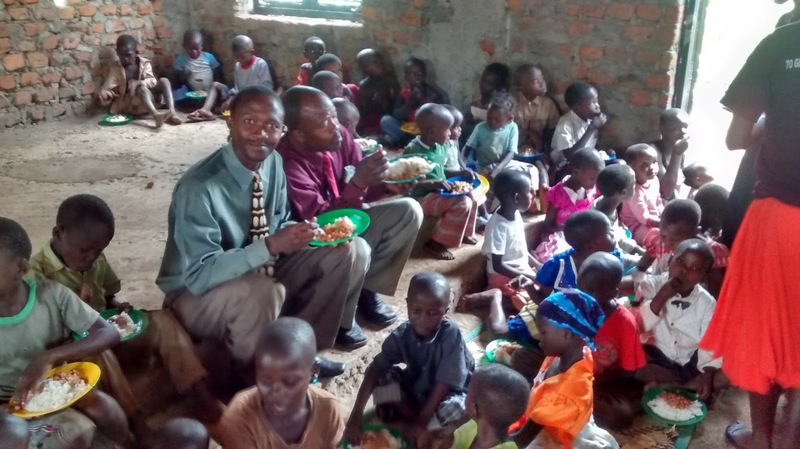 WOW, the church lunches have gotten so big, and that's amazing how everybody was so generous! 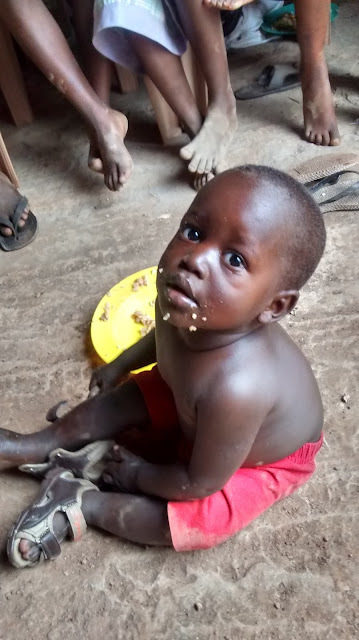 God's provision is incredible. I love the big cooking pots.